I'm starting to crave milk duds, smarties and tootsie rolls. Must be time for Halloween! Oh my! isn't he the cutest thing ever!? 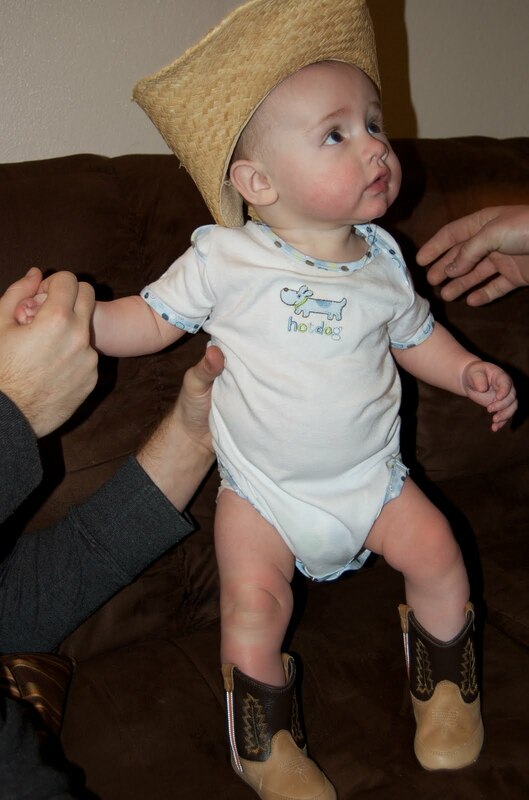 Cutest lil' cowboy! I'm so excited for Halloween! This year I'm going to be a gnome, and it's going to be hilarious! ADORABLE! -I don't have to dress up - if I did, I would do the old stand by, easy to do Gypsy costume! The video you made for your mom (above) totally made me tear up. Not to be a total sap, but you both look so beautiful with your short hair. Hope she's doing well! Your video brought tears of compassion and joy to my eyes and heart. How beautiful and wonderful that you not only pray but take action and that the bonds of your relationship with your Mother have grown stronger because of it. This certainly blesses my heart. Blessings and healing to you and your family. How cute, I love this time of year! Halloween is the best time of the year :) Fall is probably my favorite season. Hm, I think I'm going to be a cat. Original, I know I know.